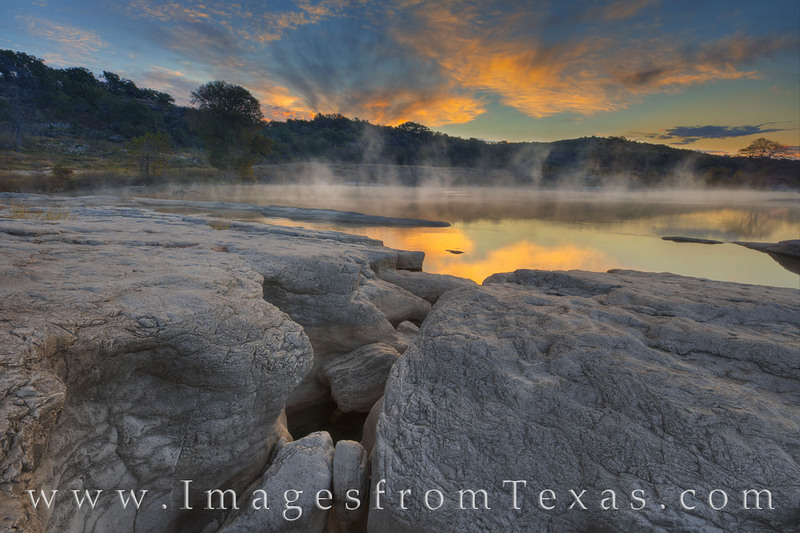 Mist rises from the Pedernales River on a cold November morning. Overhead, clouds light up with the first glow of morning to begin another beautiful day in the Texas Hill Country. Photo © copyright by Rob Greebon.